Baking sugar cookies using my Great-grandmother’s recipe is a holiday tradition in my family. We make them in the shape of fall leaves and pumpkins for Thanksgiving and wreaths, christmas trees and presents for Christmas. 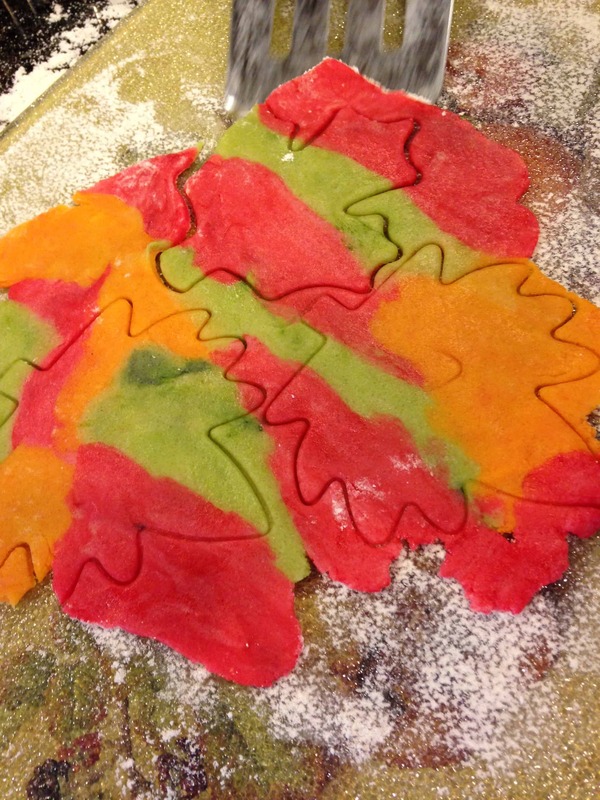 Typically, we use a dye made of food coloring and egg yolks to paint on top of the shapes after we cut them. 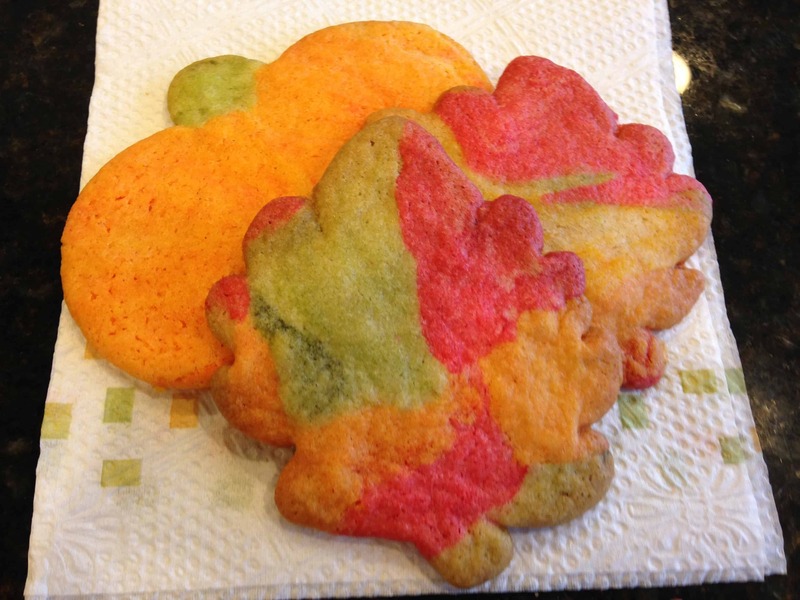 This year, my mom and I saw pictures on Pinterest of dyed dough, so we experimented! 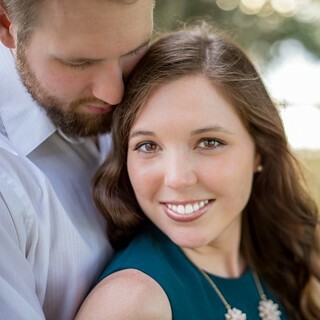 First, make the sugar cookie dough (the recipe can be found at the bottom of this post). We separated the dough into bowls that we didn’t mind getting dyed. Using a toothpick, we added food coloring to each bowl to make orange, red, green and yellow. 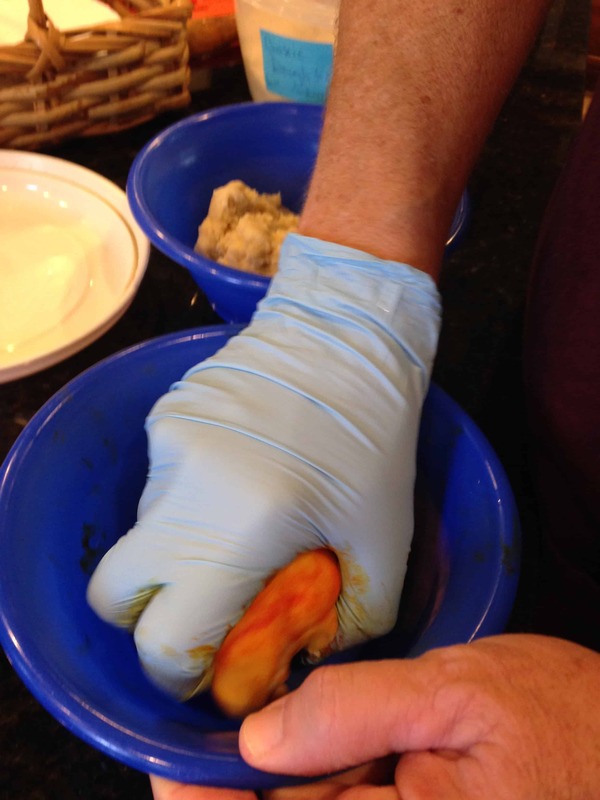 Use gloves so you don’t dye your hands while you are at it! 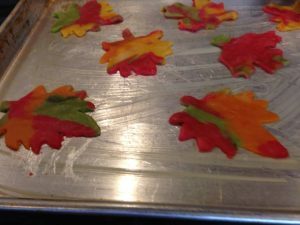 We took small pieces of each color and arranged them before rolling out the dough. 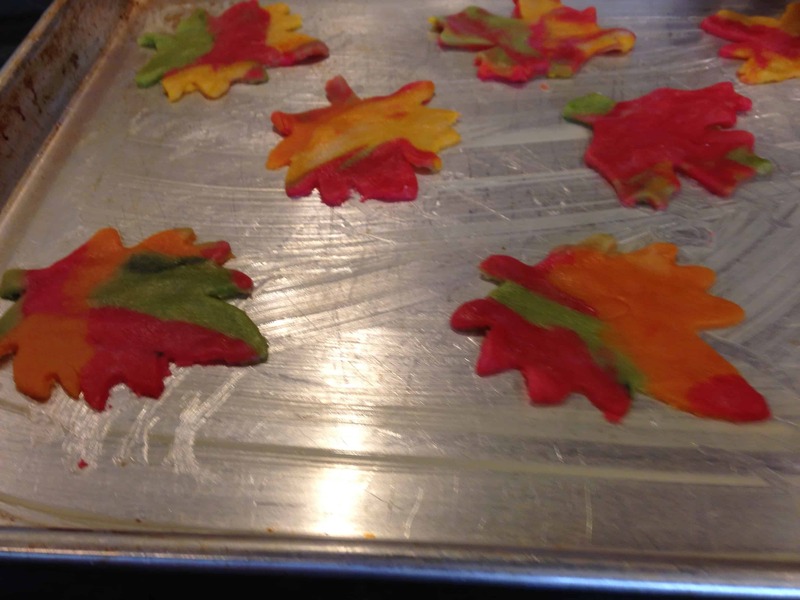 Finally, we used fall leaf cookie cutters to cut the dough. We also made some pumpkin cookies (see the last picture) using just orange dough and adding a little bit of green dough for a stem. Cream butter. Add sugar gradually and cream well. Add eggs, beat again. Add vanilla. Add flour, baking powder and salt. Chill for 1/2 hour or more. 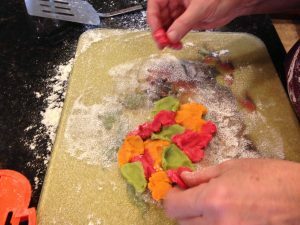 Separate the dough into small bowls and add food coloring. 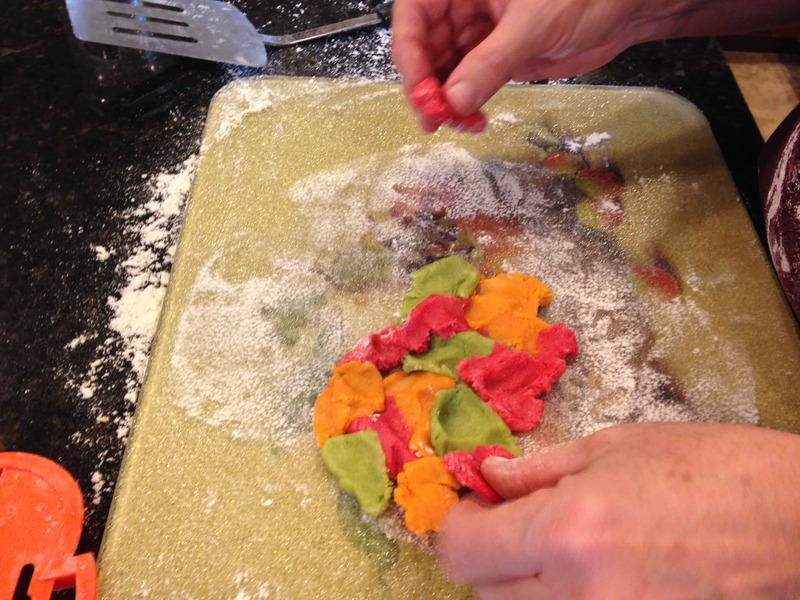 Using small amounts of each color arranged on a floured surface, roll out the dough to about 1/8 inch thick. Cut into shapes. Bake on a greased pan for 8 to 10 minutes at 375.